“No one is equipped to review me,” says Stewart Lee – and I doubt I’m the first reviewer to feel compelled to include the line in my review. And he’s right, in a way; he’s fiercely intellectual, this comedian, and I’m sure he could shoot down in flames any criticism I might make. It’s fortunate, then, that I don’t have much to criticise; we’re already fans; we went to this show secure in the knowledge we would like it. It’s our wedding anniversary, after all (we got married a year ago, while at the Fringe), so of course we chose a show we knew we’d relish; we wanted to enjoy the day. We’ve seen this show before, or, at least, we’ve seen a show with the same title and a few of the same routines. That was back in March at the Lowry in Salford, where – although the material was as deft and challenging as you might expect – the room was too big, and the whole thing felt a little too remote. Not that Lee is aiming for ‘engaging’ or ‘crowd-pleasing;’ he references Brecht’s Verfremdungseffekt, and it’s certainly a technique he likes to employ, simultaneously haranguing his audience for being “the wrong sort” and appealing to the vanity in all of us when he says those wrong ’uns are “not like my core audience: those of you who understand what it is I do.” We all want to be in Stewart’s gang; we all want to be clever enough to be in on the joke. The second half of the show is my favourite: Lee’s quest to mine the “lucrative Islamophobic observational comedy market,” along with his trademark meta-commentary on the very idea of jokes, is just breath-taking, really: it’s rigorous, uncomfortable, demanding – and very funny. 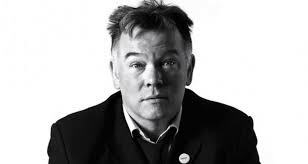 It’s Stewart Lee; of course it is.